A whole new adventure begins this week. 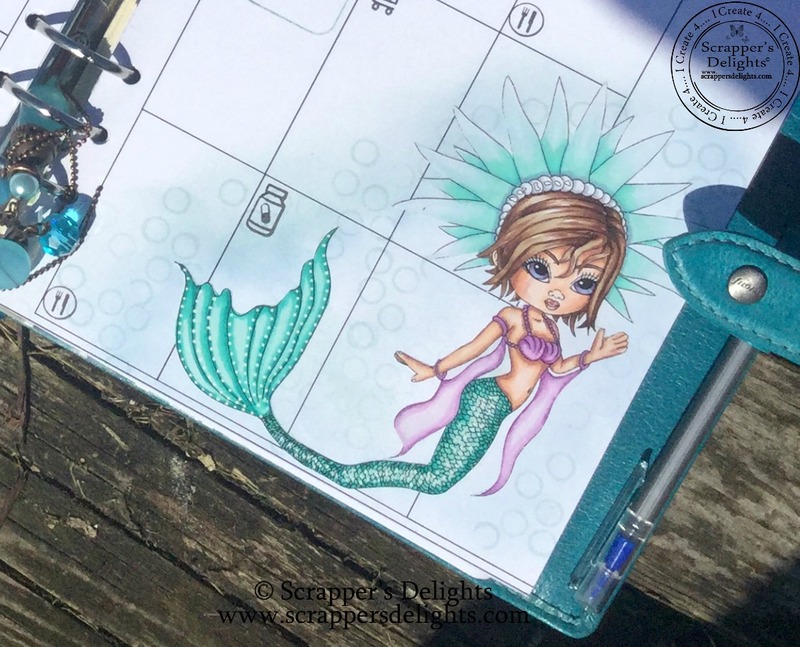 I have been asked to design some spreads for a UK based digital scrapbooking company called Scrappers` Delights. Janice from Scrappers Delights reached out as she felt we had a similar vision for a planner that could be used for a multitude of art, journaling, planning, and memory keeping needs. Lawn Fawn, Studio L2E and Tiny Stamps Big Plans. The Washi was just right for this project, it was gifted to me as a sample and now I want more lol. In the next few weeks we will show you some of the purpose made planner kits that have been created to complement the basic planner. This is a beautiful page layout! I love what you have done with the inks and bubbles so softly blended! 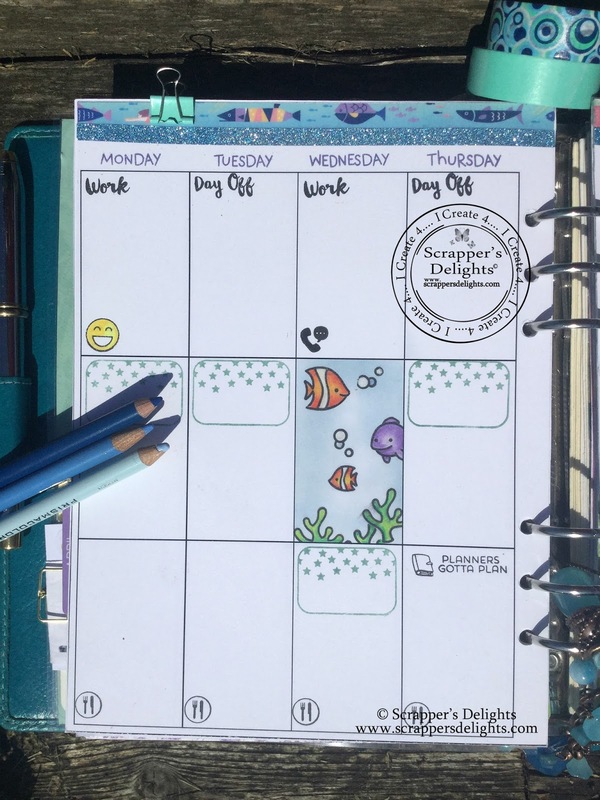 Beautiful planner layout! 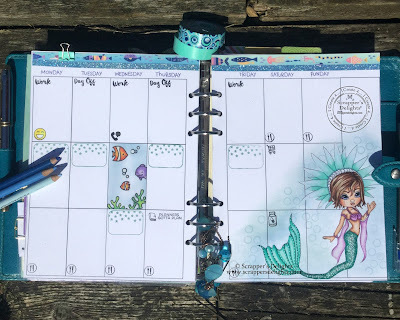 What a great underwater theme. Thanks for sharing your creation with us for the anything goes challenge at The Creative Playground! 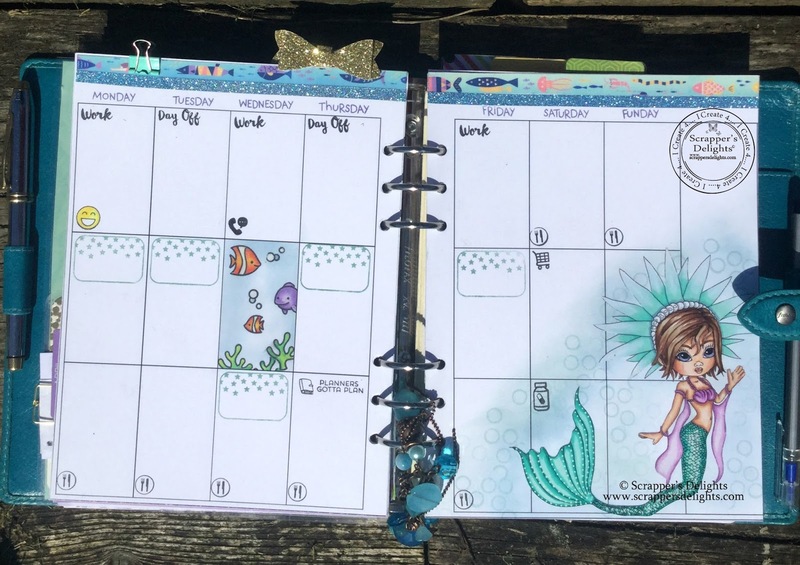 Beautiful planner pages - love them!